UPDATE: LPT opened up on April 28th for a short time. 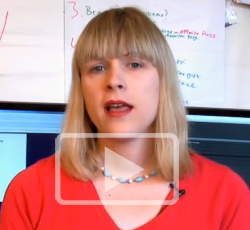 One of the Big Names in Internet marketing that I have followed for some time now is Sarah Staar. I have written about her in the past. For a long time, her main source of income was affiliate marketing. Actually, it still is a major part of her business. In response to many requests, though, she started teaching others how to profitably do affiliate marketing, and produced several online courses. At one point, she decided to run an affiliate program herself, and discovered that there were some severe problems with having affiliates. Due to some of her affiliates using shady techniques (like email spam), she got into some difficulties, which included losing a couple of her best domains. So she terminated all of her affiliate programs. I was one of many people who asked her about being an affiliate, and she responded that she might consider it again if she could work out some way to avoid the problems he had before. It took her a couple of months, but she did finally announce a new affiliate program called Licensed Partner Team (LPT). It had several new features not normally found in an affiliate program, one of the most important of which was extensive training on how to effectively promote the program. Another was that as long as you are an active member, you get some other interesting benefits such as continuing commissions on everything any of your customers buy in the future. In addition to the carrot, there was a stick. Namely, anybody who used shady tactics of the sort that caused her to shut down her prior affiliate program would be instantly terminated, and lose all future benefits. Considering the enormous value of membership in LPT, that is a pretty big stick. The result was a much better program for everyone involved. I immediately saw the value in LPT, and I joined even though the price was pretty steep (it’s gone up since then, but remains a good deal). I made my money back in a couple of months, and I have been really happy with the program. This was in spite of not really putting in a lot of effort (I did spent some time, especially in the beginning), and not buying any paid advertising at all (later, I did start buying solo ads). I could go on at great length about how what a fantastic deal LPT is, but there is one major problem with LPT. I can’t even provide you with a link to it at this time. You see, Sarah only accepts the number of new people into LPT that she can comfortably supervise and properly train. So she will occasionally open it up to new members only for a short time(and since word has gotten out how good it is, the price is usually a bit higher each time), and then close it in order to concentrate on training the new folks. That training is also open to everyone who has ever joined. After all, the techniques and methods for running a profitable affiliate marketing business continuously change. I make it a point to attend the training sessions whenever I can (sometimes, I miss one due to other commitments, or travel plans, but in those cases, I catch the replays). I always learn something new that I can immediately use, even for my efforts outside of LPT. So, why am I even talking about it now, since it’s closed? I expect it to open again in a few months. I have no idea how much the entry fee will be (current members are “grandfathered” in at the time they join, so the initial cost will never increase), but when it does become available again, I would highly recommend that anyone who wants to build a really successful online business doing affiliate marketing join it immediately. Meanwhile, the best way to learn about LPT when it opens again is to get on Sarah Staar’s mailing list. You can do that by purchasing any of her low-end products (list at the end of this article), or even by getting some of her free courses (also in that list). Just by being on her list, you will get regular interesting and useful information that you can use immediately, and you will then get notified when LPT becomes available again. So sign up today, and then watch for the announcement when it comes. Just to prepare you for the sticker shock, the price of LPT is going to be north of a few thousand dollars, so you should start putting away some savings for that. In the past, she has also offered payment plans, but I would recommend just paying it all up front. If you decide that LPT isn’t for you, you can get a refund (with a fairly generous time limit), but she doesn’t get a lot of refund requests simply because of the high quality of the program. Web Traffic Loophole ($17) This is a video course on very low-cost ways to get lots of targeted traffic to your offers. Income Blueprint Workshop ($147) This series of ten video workshops shows a variety of ways to find products, build an email list, and market your offers. Affiliate Formula X ($197) One of the most comprehensive affiliate marketing courses available. 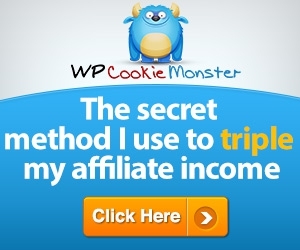 Affiliate Tripler Cookie Monster ($297) This rather ingenious program is one that will help you maximize your affiliate commissions from nearly any affiliate program. 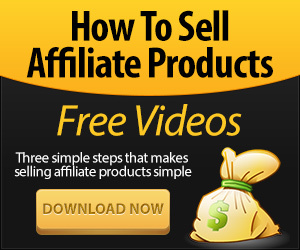 Action plan for getting fast income from an affiliate offer. Getting targeted traffic to any website quickly and inexpensively. I bought these courses and video products myself (I also got all of her freebies), and I frequently go back and review them. I pick up new actionable ideas from them (even the free ones!) every time I go back to watch. This entry was posted in Email Marketing, Other Online Businesses, Traffic generation. Bookmark the permalink.